It was back in 2005 that I shot my first wedding at The Dunes Club and recently, I have been refurbishing film images to create a digitally mastered photo album for that first wedding client (yes people do order albums ten years on). The Dunes Club is one of the most classical an authentic locations in Myrtle Beach. The club house sits on top of a large lawn nestled by our beautiful ocean and with one of the Grand Strands finest golf courses it offers amazing natural backdrops, shady over-hangings, and playful ideas for the couple. That is, until the rain nymphs decided to tease and play with us, yep you guessed it, it poured with rain all day long. As wedding photographers we have be be able to improvise and get creative, working with whatever location and lighting that we have available to us. 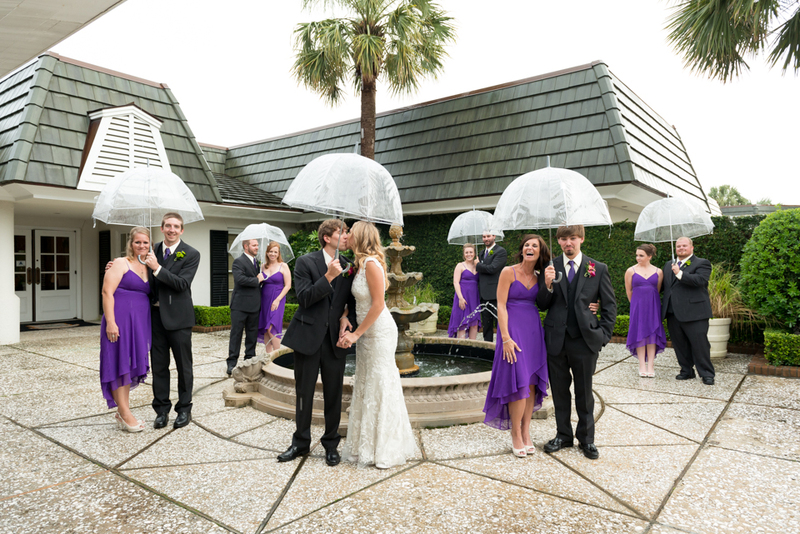 We had the locker rooms, a hallway, and then the mother of the bride brought out umbrellas. Thankfully the mentality of this couple – a “can-do” attitude – was clearly able to adapt and overcome. Two people who were happily together no matter what obstacles were put in their path. Before the ceremony, I hadn’t seen such a physical display of “bubbling over” from one of my brides, but Emily…she was too excited to contain herself! At the alter, the pastor couldn’t read the vows quick enough. At the reception, one male guest come up to her and exclaimed, “I think you were the happiest bride I’ve ever seen!” and I believe we all would have toast to that. Though the weather taunted and played its tricks all day, it wasn’t long into the reception that the evening colors peaked through the clouds, bringing a wedding gift in the form of a mini rainbow. I rushed our bride and groom across the soggy lawn to capture the image but the fleeting moment had passed, leaving nothing but a sweet memory and a stormy looking sky. The overall emotion between the couple was contagious, their happiness emulated in everyone they choose to share their special day with. I wish them much more for their future for I know, “every morning they will wake up with the intention of making the other happy” for the rest of their lives. Why schedule a bridal portrait? It goes without fail that every time I shoot a wedding one of the things a bride always shares with me is that the day just goes by so fast. I wish I could stop time for my brides sometimes. It is so easy to get caught up in all little things it takes to pull together the big day. I like to think I can slow down time a little during my portrait sessions. My brides and I can spend several hours together – and my brides are able to well, be a bride during that time. It takes time to capture someones true essence and their inner beauty. These are two qualities that are very important to me to uncover during my portrait sessions. Here are my top five reasons why you should schedule a bridal portrait before your wedding. My wish, for every bride I have the opportunity to work with, is for them to have a stress free and smooth sailing wedding day with no snags or unnecessary distractions. Scheduling a bridal portrait enables my brides to have a chance for a trial run with their hair, makeup and dress. When my wife did her portraits (not with me, obviously! ), she discovered that she needed to find a new hairdresser AND that her dress needed to be altered because it was not falling right. Had she not made the time to have her portrait made, she would have been contending with these issues on our wedding day. I recommend scheduling your portrait at least six weeks before the big day so you have time for dress alterations and making changes to your vendors (hair and makeup) if necessary. I take pride in knowing that many of my brides (and grooms!) feel like friends by the time their wedding day rolls around. I want to get to know them to the best of my ability so I can capture images that speak to directly who they are and what their relationship is all about. This involves being very comfortable with one another. If you are someone who does not like to get their picture taken, it may take some time to warm up to the camera and feel comfortable in front of it. I mean, this is YOUR DAY! During the portrait session we are able to spend several hours together, getting to know one another and definitely doing a lot of laughing. So, by the time I see you on your wedding day, it is like you are old friends with me and my camera. Emotions run high on the day of the wedding. Time is almost never on our side. Even my most organized brides can never anticipate the energy and emotion that is running through them as they get ready to say “I Do”, forever. During the session there is no pressure on your to be somewhere, there is no one asking you any questions. We always make time for a bridal portrait on the day of the wedding, even with my brides that schedule portraits ahead of time – but you will never get a two or three hour chunk of time to get it, just right. There is nothing more beautiful, from my perspective, than a confident bride. Having a bridal portrait means that you get to see pictures of yourself in your dress before your wedding day. I love working closely with my brides during the portrait sessions to help them learn the best way to stand and pose. The style of your dress, your body type, if you have veil or not and also your shoes all play into creating the “look” you want to achieve on your wedding day. During your portrait sessions, we have the time in a relaxed space to play with all of these things until we get them right. There is nothing quite like seeing the look on your guests faces when they walk into the reception and there is a gorgeous framed print of your bridal portrait there to greet them. I have always encouraged my brides to select several of their favorite images from our bridal sessions and have different sized frames and a mix of color and black and white. And, mothers and grandmothers are always happy to take these beautiful framed pictures home with them after the wedding! I hope you enjoyed this collection of bridal portraits, most were taken before the wedding but a couple were taken day of. I included a variety of styles from traditional to modern, artistic and creative to just plain beautiful. Recent engagement photo sessions have leaned towards multiple locations and outfit changes so the couple can enjoy several settings and have tons of great images to choose from. 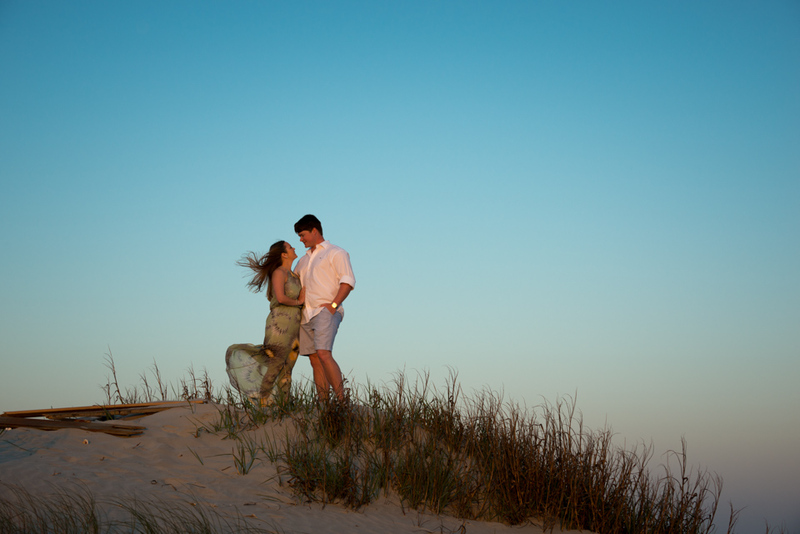 Both Kristy and Sebie have a love of water and boats so for their engagement session we started at the lighthouse in Little River and worked our way towards ‘the point’ at Cherry Grove, with a quick stop at Vereen Gardens just across the State line in to North Carolina. I loved this couple because they were fun, laid back, definitely had their own style and because they gave me the freedom to mix it up and be creative with both the location and styling. Not only that Kristy didn’t get too mad at me for ruining a pair of her shoes as we trudged through the marsh to get shots by the water (thanks for that!). They also both loved vibrant and saturated colors so this entire session does not have one Black and White photo, quite possibly a first for me. Enjoy. My favorite pic of the day used the abstract patterns in the shadows on the Lighthouse wall to make sure both her smile and that precious ring were both glowing in the suns natural light. I hope you enjoyed these nautical themed engagement photos, to book your session at the location of your choice call or contact us via email. I’m English so I love a good cuppa tea. I am an artist who loves his inner child for its innocent and honest view of the world. I am always the first to arrive and the last to leave and have been known to get the party started and dance at your wedding. I am a high energy photojournalist willing to go to any extreme to capture that ONE image that will bring you back to the true emotion of the moment. 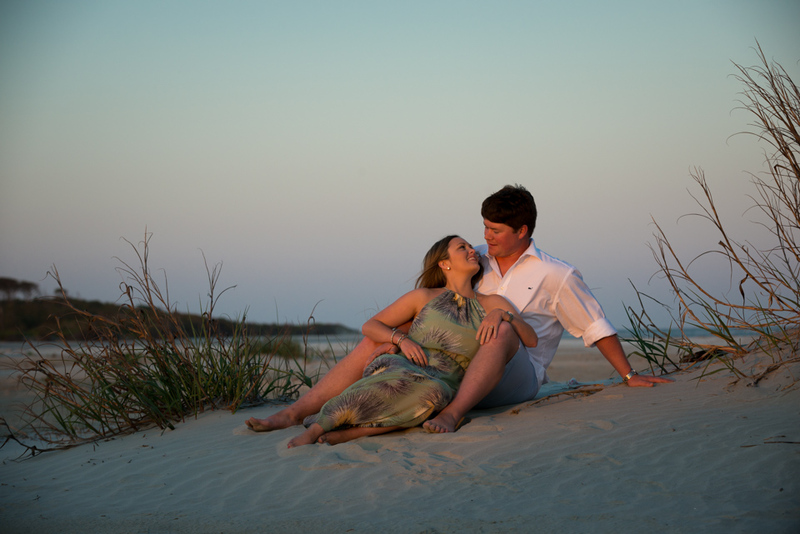 I am a Destination Wedding and Event Photographer based in Myrtle Beach, SC. I prefer working with natural light and photographing people authentically using a fine art photojournalistic style. I have been blessed to have worked with over 300 happy wedding couples in 9 States and 5 Countries over the past 15 years. It’s humbling that many people who started out as clients are now friends for life. Myrtle Beach Wedding Photography is not just my job, it is my passion to bring your wedding to life, focusing on all the amazing details and intimate moments you share with a creative and artistic eye. For me the true essence of lifestyle photography is candidly capturing the connection between two people - when those people happen to be in love and celebrating their special day, then it is a magical job I have. I am based in Myrtle Beach, South Carolina, it has been my home for the past 15 years however traveling to exotic destinations across the world is my second love. To date I have photographed weddings in England, Ibiza, Canada, India and the USA. There are no additional fees for traveling to your destination of choice, simply cover all travel and accommodation expenses.